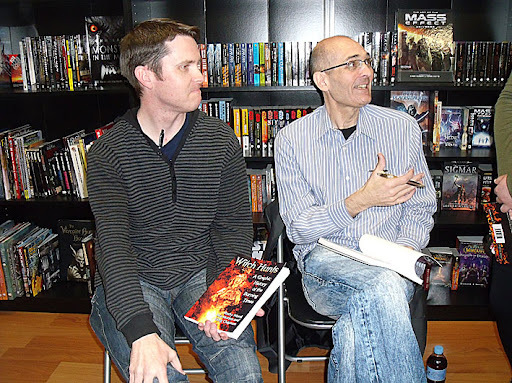 Witch Hunts signing event in Melbourne! 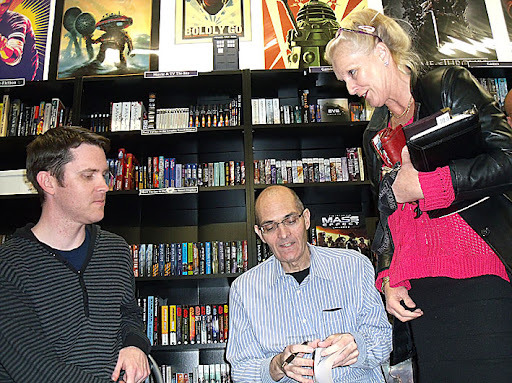 I’ve just returned home from a very memorable weekend in Melbourne where I finally got to meet Witch Hunts co-author Rocky Wood and join him in a signing event at a bookstore just outside the city. After conversing with Rocky for roughly 18 months via email, I was very keen to meet him face-to-face and shake his hand and pour over the graphic novel we’d both worked so hard on. It was also great to meet and catch up with some fellow dark fiction scribes, including Brett McBean, Australian Horror Writers Association president Geoff Brown, Matthew Tait, Shannon Gambino, Mark Farrugia and Talie Helene. 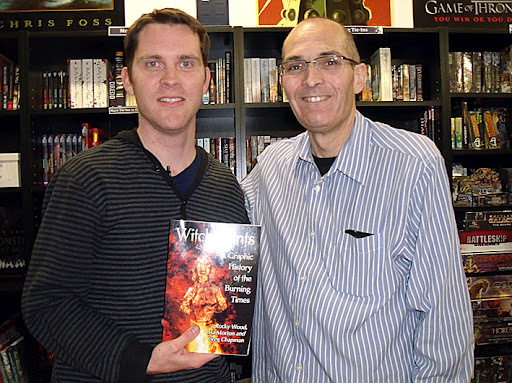 Chuck McKenzie, owner of Notions Unlimited Bookshop was a great host and I was simply in awe of his store. I feel very fortunate to have collaborated with Rocky and the only thing that was missing at the signing was the presence of Lisa Morton, who also authored the graphic novel. Perhaps, one day, all three of us will have the opportunity to get together. 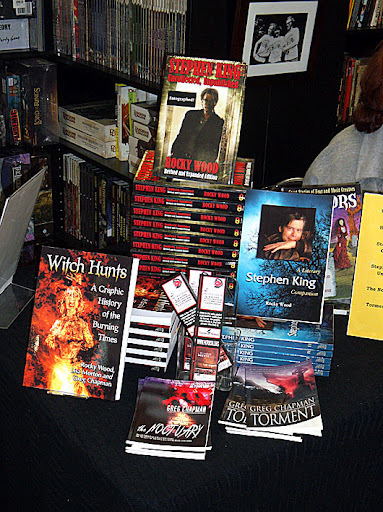 Thank you to all those who came to the event and picked up a copy of Witch Hunts or my novellas. It’s great to know that the book has left such a positive impression on the people who’ve read it. And don’t forget to get your reviews in at our Amazon or Goodreads page for your chance to win some of original Witch Hunts inspired artwork.